The much-awaited commercial launch of Reliance Jio Infocomm's 4G services could be around a month away. The Reliance Industries-owned telecom company's maiden plan — likely to be called Freedom — may offer free voice services bundled with data, priced at least 25% lower than current offerings of top rivals. The Economic Times report quotes Three people familiar with Jio's plans said teams across the organisation have been informed about the impending launch, well ahead of the widely anticipated December timeline. The plan's name is a reference to India's Independence day falling in August, according to the people cited. The launch could be on August 15, according to these people. "The teams had been forewarned about a launch thrice earlier. But this time, the management means business," said one of people. In April this year, Reliance Jio’s soft launch took place with the service being rolled out to employees. 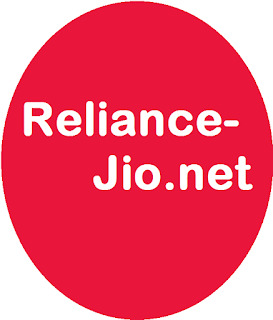 Reliance Jio holds a pan-India license in the 4G spectrum, and will be offering only 4G LTE connectivity; it won’t have 3G or 2G services like other telecom players. Reliance’s total investment is nearly Rs 34,000 crores in this venture, and the pilot launch has already seen 70 lakh users download 13 million GB of data at an average of 19.2 GB per user, according to company data. Described as the world's biggest startup with an investment of Rs 1,50,000 crore, The launch has been six years in the making since RIL re-entered the telecom sector by buying a company which had won pan-India 4G airwaves in an auction in 2010. The launch is likely to unleash a tariff war, if the Freedom plan described by the people cited is anything to go by.